More than 2 billion people watched Prince Harry wed Meghan Markle on Saturday morning, and Dartmouth alumni might have recognized a familiar face during that coverage. Captain William “Zack” Zehner ’09, operations officer of 3 Regiment, Army Air Corps, was commander of the 3AAC Half Company, one of five half companies that lined the route of the royal carriage within the walls of Windsor Castle. Zehner’s desire to join the British Army began well before he came to Dartmouth. He says, “the visit of an Army helicopter to my school when I was approximately 14 was probably the beginning of the end!” At Dartmouth, Zehner majored in government and minored in Asian and Middle Eastern languages, which only helped further his desire to join the military. After graduation, Zehner worked in South Africa before attending the Royal Military Academy Sandhurst and being commissioned into the British Army as an officer. He briefly overlapped with Prince Harry at the Middle Wallop training base, and completed his Apache pilot training with the U.S. Army in Alabama as an exchange officer. Despite his modesty, Zehner and his team were well prepared for this moment. He and his 24 soldiers represented each of the three capbadges within the 3AAC: the Army Air Corps, the Royal Electrical and Mechanical Engineers, and the Adjutant General’s Corp. Their role, of course, was entirely ceremonial, but they were also prepared to assist the civilian police in ensuring the security of the royal family, if necessary. Having 3 Regiment as part of the honor guard at his wedding was especially meaningful to Prince Harry. 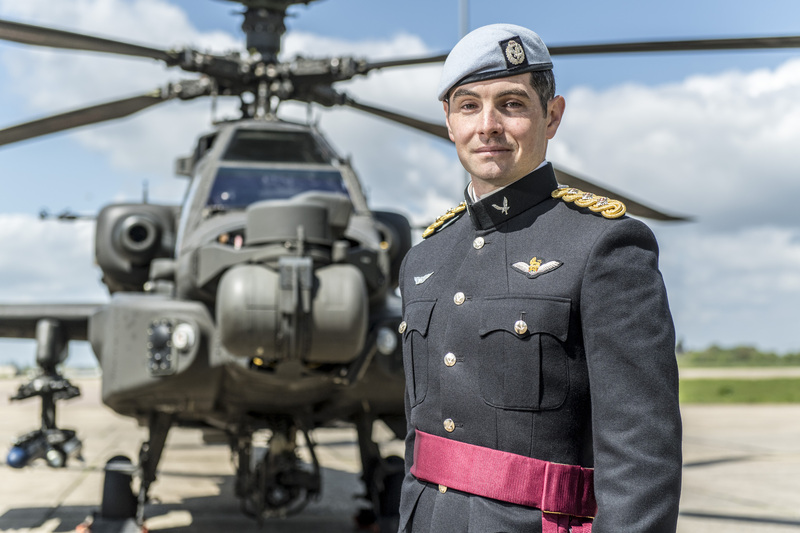 As Captain Wales, Harry served with the Army Air Corps for nearly half a decade, and joined 3 Regiment as an Apache pilot when he deployed on operations to Afghanistan.